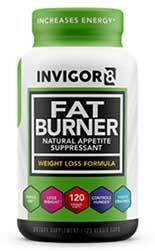 INVIGOR8 Fat Burner is a diet pill that contains only natural ingredients. It’s manufactured in the USA by Biomedical Research Laboratories (BRL) and the company also markets an INVIGOR8 health shake designed to deliver “whole-body health without sacrificing taste”. As the name suggests, INVIGOR8 Fat Burner is primarily designed to function as a fat burner, but the formulation contains ingredients that can offer dieters support in a number of other ways, so the product is intended to be more versatile than the name suggests. It’s also a vegetarian friendly diet pill that does not contain any soy or GMOs and, if the marketing spiel can be believed, INVIGOR8 Fat Burner will help you to “succeed in your quest to beat that belly fat, master your muffin top, and thin out your thunder thighs”. New users are advised to begin with a dose of one capsule, two times each day, 30-45 minutes before meals. If no tolerance issues are encountered the dose can be increased to two capsules, taken two times per day, from day four onwards. This is the recommended dose. However, BRL state users who wish to get the maximum benefit from the product can further increase the dose to two capsules, three times per day. Green Tea Leaf Extract (330mg): A heart-friendly diet pill ingredient with proven fat burning abilities. 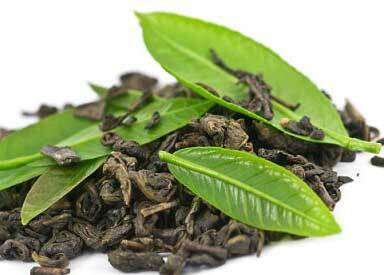 Green tea extract works by speeding up the metabolism and encouraging the body to burn calories faster. It’s also a thermogenic fat burner that causes the body to lose extra calories as heat. Raspberry Ketones (200mg): There are two kinds of raspberry ketones. The most powerful form is taken from raspberries and certain other fruits, including cranberries and blackberries. The second type is produced in a lab and it’s much cheaper for diet pill manufacturers to buy. Genuine raspberry ketones can cost as much as $20,000 per kg, so it’s not surprising that many manufacturers choose to go with the synthetic form, but it lacks power. It’s not clear which version is used here, but if it’s the fruit based version it should assist weight loss by suppressing hunger and assisting lipid metabolism. Green Coffee Bean Extract (200mg): A popular fat burner that’s often used as a standalone ingredient in diet pills and weight loss beverages. The active ingredient is chlorogenic acid, but green coffee bean extract also contains a small amount of caffeine, along with some antioxidants that can help promote good health. Olive Leaf Extract (160mg): Olive leaf extract made the news when researchers said it’s as good as prescription medications when it comes to lowering high blood pressure. Olive has always had a reputation for being healthy, but there is no evidence to suggest it’s capable of assisting weight loss. Bacopa Leaf Extract (130mg): An ingredient derived from a creeping herb. Bacopa leaf extract is mainly used as a cognitive function booster but it’s also believed to be capable of improving the memory and reducing levels of stress. Chrysin (100mg): A flavonoid that occurs naturally in honey, passionflowers, and certain species of geranium. Some (laboratory based) research suggests chrysin may be a testosterone booster. Testosterone aids muscle growth and fat burning, but chrysin research conducted on humans has produced no promising results at all. Garcinia Fruit Extract (100mg): A fruit extract that blocks fat production and further assists weight loss by suppressing hunger urges. These abilities are afforded to garcinia cambogia thanks to the presence of a chemical called hydroxycitric acid (HCA). However, the quality of extracts can vary. 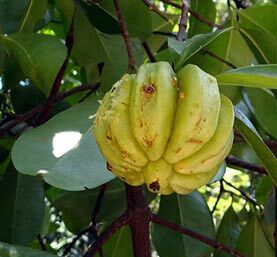 The best garcinia cambogia extracts have a potency of 60% HCA or higher. Extracts that have a lesser potency may not work. BRL fails to provide any information about the HCA content of the extract they have chosen to use. Forskohlii Root Extract (60mg): The active component in Coleus forskohlii is called forskolin. It’s believed to boost testosterone production and increase levels of the molecule cyclic adenosine monophosphate (cAMP). Elevated cAMP levels can accelerate fat loss. However, although preliminary evidence is promising, forskohlii requires further research. The INVIGOR8 Fat Burner website contains plenty of customer reviews for the shake, but does not appear to have any for the pills. Amazon.com has a verified customer review left by someone who says the product did not work in the way it was supposed to, but one review is not enough to provide an accurate insight into the product’s potential and we were unable to find any customer reviews published elsewhere. If BRL are aware of any side effects they fail to disclose it in the marketing material, but the fact that the company urges customers to commence supplementation with a reduced dose suggests they may not be wholly confident in their product’s ability to deliver side effect-free weight loss. Women who are pregnant or breastfeeding an infant are urged to get prior approval from a doctor before using this product. As are people who have existing health problems. The same advice is offered to anyone who is using medication. Although it’s possible to buy INVIGOR8 Fat Burner via Amazon.com, it’s probably best to purchase via the INVIGOR8 website. That way you can be certain you are buying the genuine product. We’re not knocking Amazon, just pointing out the marketplace is open to abuse. Customers wishing to purchase the product have the option of buying a single (120 capsule) bottle, and paying $49.95, or choosing to opt-in to an auto-ship program. Customers who subscribe to the auto-ship option can agree to have two new bottles of pills shipped to their home every two months, or three bottles every three months, and make a saving of $20-$37.48 on each consignment. Customers who buy via auto-ship also benefit from free shipping, but this kind of arrangement sometimes proves to be hard to cancel and is generally best avoided. We have some doubts about this formulation’s ability to suppress hunger and fight cravings because it only contains two ingredients that are known to have this ability (raspberry ketones and garcinia cambogia) and in both cases there quality of the extracts used is questionable. 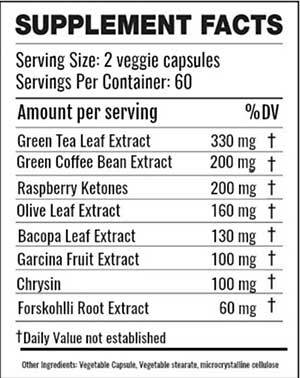 The fact that the formulation contains green tea and green coffee bean extract should allow INVIGOR8 Fat Burner to boost the metabolism and encourage fat burning, and its possible that chrysin and forskohlii may assist muscle growth. However, if the formulation fails to suppress the appetite, anyone who uses this product will find sticking to a calorie controlled diet continues to be hard work. The cost of this product is also an issue. BRL state customers will need to take a total of six capsules per day if they want to obtain the maximum benefit. That would mean a new bottle would need to be cracked open every 20 days. All of the leading diet pill brands come in bottles that contain enough pills to last for 30 days and would be cheaper to use. They also have plenty of positive customer feedback. INVIGOR8 Fat Burner does not so, if you need to lose weight, please be aware there are better options available. We suggest looking very closely at LeanBean – a fat burner especially created for women. Male and females have different factors that affect their weight loss and fat burning success rates. For women, hormones play an important role. LeanBean is one of the best natural diet pills that a woman can use to address these issues.